for $599,000 with 3 bedrooms and 2 full baths. This 1,624 square foot home was built in 1979. FEE LAND (YOU OWN IT!) UNOBSTRUCTED MOUNTAIN VIEWS (NO WIRES OR POLES!) LEASED SOLAR PANELS (SAVE $$$!) Seller says this home was once owned by Tony Award winning composer Jerry Herman! Formal entryway leads to roomy, open living space with direct access to kitchen, with ample space for all your cooking needs. Pride of ownership shows with newer appliances, glass sliders, Renewal by Andersen windows and updated master bath. 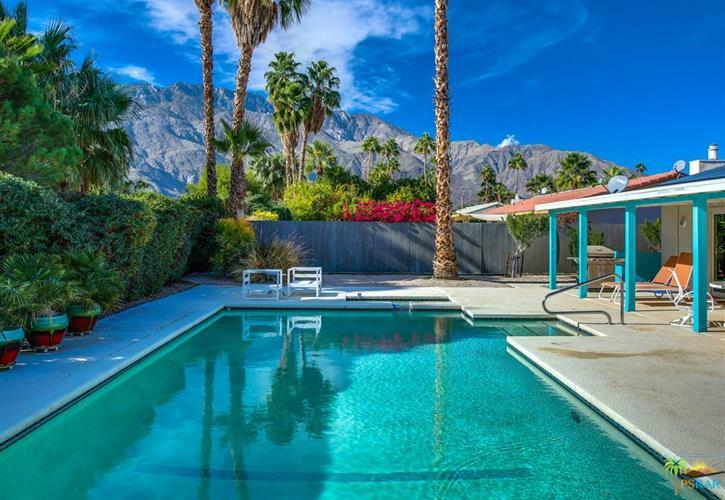 The generously sized, private back yard offers sweeping, unobstructed views of the mountains, pool and spa, and ample space to relax with friends and family from sunrise to sunset. The sizable 2 car garage will protect your cars from the desert sun and also houses a water softener for crisp tasting drinking water. 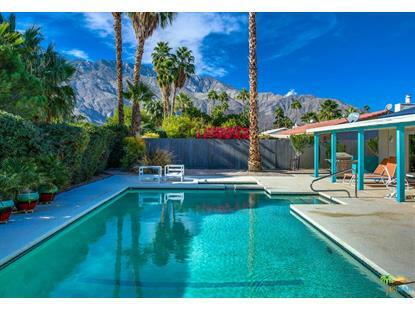 Minutes to Palm Canyon Dr where you'll find great restaurants, shopping, theatre, and art.